Jakob is… 40 something, rich (inherited). Very busy, switched on but disengaged, feared for no good reason. Invested in Sydeline as a bet made with Nero Zero. Will do anything to win. Seriously fancies Zelda – she is oblivious to his desires. However, Nero knows! It’s possible to think that all businesses amble along with very little going wrong. A small rise and fall in sales, but generally on the up. However, that is very unlikely. Every business suffers a calamity or two. Sometimes it’s unavoidable loss of a key member of the team. Maybe the biggest customers finds a cheaper, or shudder the thought, better company to deal with. There is always a risk that something can go wrong – it’s how you deal with it that counts. 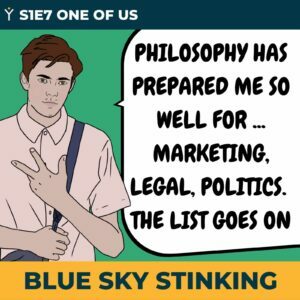 Sydeline, the company that adds the drama to our podcast Blue Sky Stinking, lives on the permanent edge of calamity. 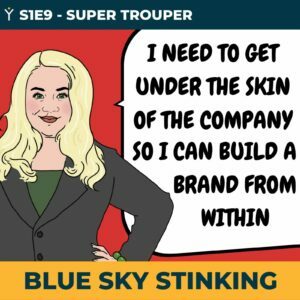 Trying to stretch the concept of innovation and abandoning tried and tested business practice, Zelda Zero leads the way in creating a risky venture. 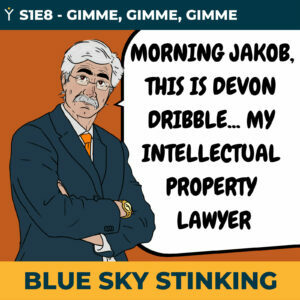 Jakob Oakstock, for personal reasons, seems intent on propping up this disaster waiting to happen. 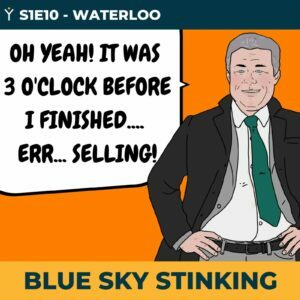 So why would you listen to a story on how not to run a business? 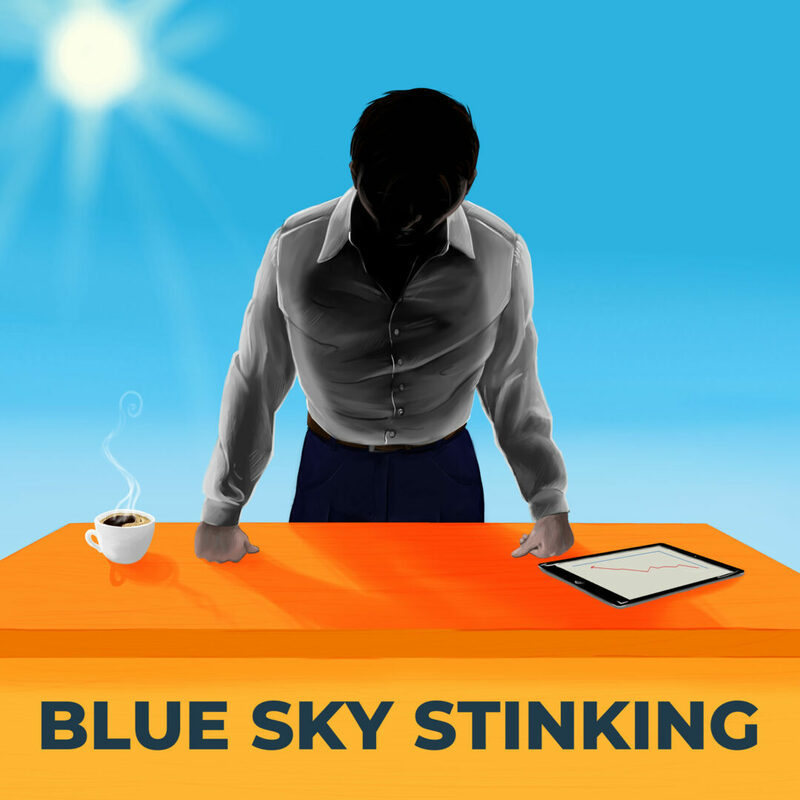 Because Blue Sky Stinking is telling the, sometimes untold, stories of so many real-life calamities… they are just all happening to Sydeline for some reason. Find out the reasons, learn the about the things to avoid and strategies to employ by listening and subscribing to this weekly podcast today.